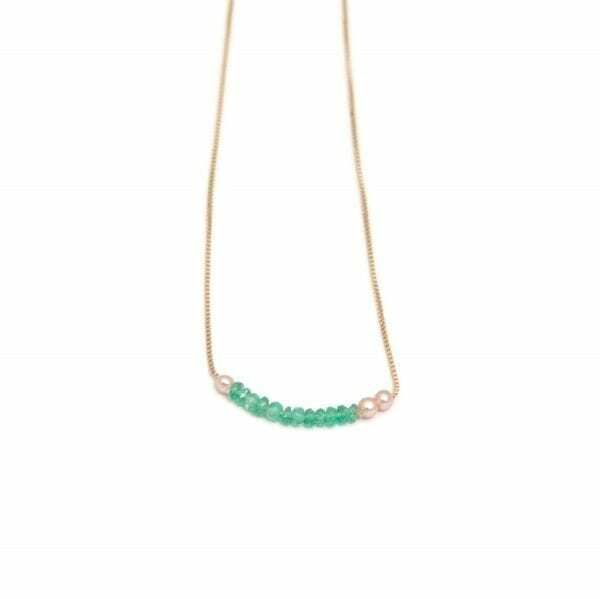 Dainty emerald beads and pink seed pearls on a yellow gold curb chain – a great way to add a luxurious yet minimalist pop of colour. 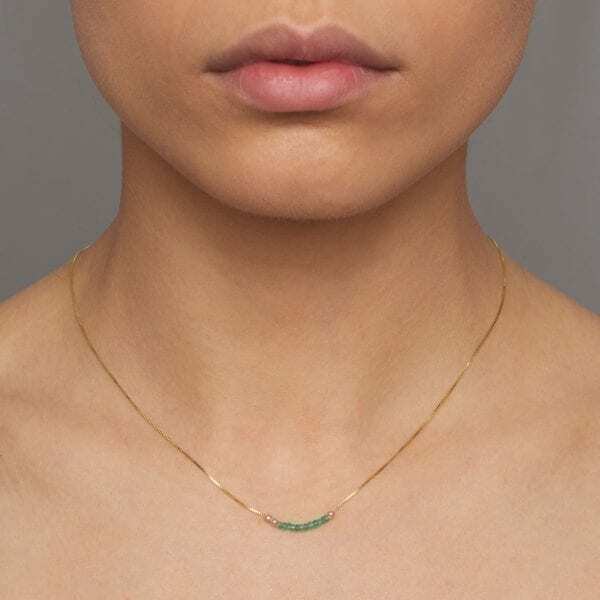 We thought you would like to know has been eyeing up our 14k Yellow Gold Emerald Pearl Leaf Necklace for some time now and has requested we bring it your attention. What's your question about 14k Yellow Gold Emerald Pearl Leaf Necklace? 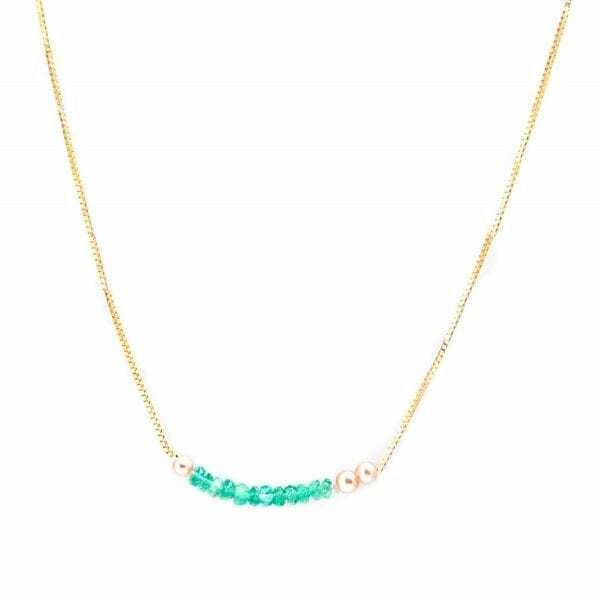 This stunning 14k yellow gold necklace features a fine line of faceted emerald beads and seed pearls on 14k yellow gold box chain. It is delicate and catches the light wonderfully when worn. It is a necklace you will never take off. Necklace Length: 17 inches. 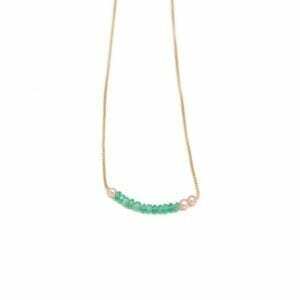 Necklace Width: 1mm. 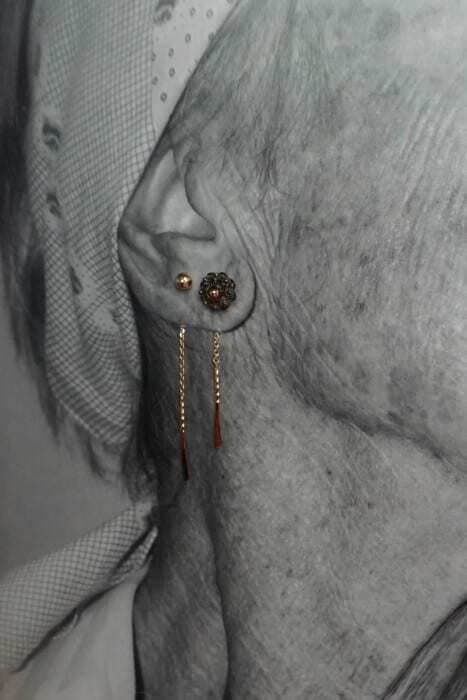 Beaded Section: 22mm. Faceted Rondelle Beads Diameter: 2mm. Closure: Bolt Clasp. Note: Available in different colours, metals. Matching Ring, Bracelet, Earrings available.